Yesterday was another dramatic day in the Boeing 737 MAX crisis, as first Canada, then the U.S. banned the MAX 8 and 9 models from taking off, landing or overflying their airspace. The entire global fleet of 371 MAX planes is now grounded. Canada was first among the last two countries to take such action, with Transport Minister Marc Garneau announcing at a morning press conference that “new information” suggesting similarities between two 737 MAX 8 crashes within five months spurred the decision. "There are — and I hasten to say not conclusive — but there are similarities that sort of exceed a certain threshold in our minds with respect to the possible cause of what happened in Ethiopia," Garneau said. Within a couple of hours, the U.S. announced a similar decision, with President Trump front and centre in announcing the news. Garneau said Canada alerted the U.S. to the safety notice on Wednesday morning. According to Reuters, the Federal Aviation Administration held urgent meetings on the issue after Canada announced it would become the latest major country to ground the jets. As the largest operator of 737 MAX aircraft in Canada with 24 planes, Air Canada confirmed that it would “comply immediately” with Transport Canada's safety notice closing Canadian airspace to Boeing 737 MAX aircraft operations until further notice. “Air Canada's cancellation and rebooking policies are in place with full fee waiver for affected customers. 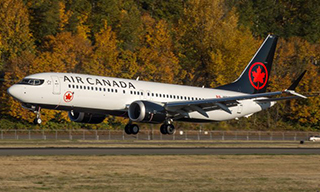 We are working to rebook impacted customers as soon as possible but given the magnitude of our 737 MAX operations which on average carry nine to twelve thousand customers per day, customers can expect delays in rebooking and in reaching Air Canada call centres and we appreciate our customers' patience,” the airline said in a statement. An operator of 13 737 MAX planes, WestJet affirmed that it is “fully complying” with the Transport Canada decision. “We’d like to reassure you that over 92% of our fleet is operating as usual. While there may be some interruptions to our schedule as we mitigate the impact of this decision, you can book with confidence knowing that WestJet continues to fly throughout our network with the safety of guests and employees at the forefront,” a statement from the airline read. Sunwing Airlines was the first Canadian carrier to ground flights of its four MAX aircraft, in advance of the Transport Canada decision. Ontario’s travel industry regulator issued advice for both consumers and travel agents in the wake of the MAX grounding. “TICO is concerned about the impact of today’s decision by Transport Canada on consumer’s travel plans. While safety must always take precedence, consumers are advised to contact their travel agent to understand the protections available to them under Ontario’s travel legislation,” says Richard Smart, President and CEO. TICO says the Transport Canada ruling is considered the result of a safety consideration. 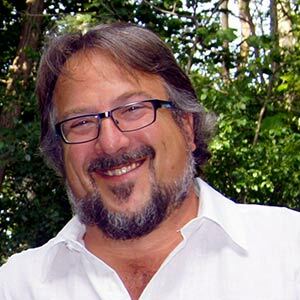 Meanwhile, TTI Travel President Rocky Racco got back in touch with Open Jaw’s Anna Kroupina yesterday, after saying the day before that his agents were not hearing concerns from travellers. That changed over the next 24 hours. Racco expressed continued confidence that airlines exercise their due diligence in ensuring the utmost safety for passengers. “The bedrock of the aviation industry is on safety. If, God forbid, there was another incident, it would really create havoc and a real shock to the consumer confidence,” he says. The question is academic at this point, but when asked whether he would board a MAX 8 today, Racco said “Yes” without hesitation.